Will AMD’s Ryzen processors take the world by storm in 2017? For the last couple of decades, technology company AMD has been Intel’s main rival in the processor market, even if the US company never offered any serious competition at the high-end spectrum of the market. Because the truth is that AMD is better-known as an affordable alternative to Intel, and its FX line of processors surely are popular amongst PC gamers looking to build a gaming PC. So it makes sense that quite a few people were excited when AMD announced its new Zen processor architecture, with the first CPUs hitting the market in the first quarter of 2017. AMD revealed more details about its upcoming processors during its “New Horizon” event this December, and apart from the fact that we now know that the new processors will actually be named Ryzen, it is clear that AMD is now ready to take on Intel in the high-end processor market for the first time in decades. Actually, in a demonstration during their December event AMD showed that their new Ryzen processors had nothing to envy Intel’s i7 6900K processor (a model that retails for more than $1000 in the US). This is because the Ryzen processor performed admirably when running Battlefield 1 at 4K resolution, offering a comparable gaming experience to Intel’s high-end CPU. And one independent test run by a French outfit (as reported on Yahoo! Tech) has indeed concluded that the first Ryzen CPU can indeed go toe to toe with Intel’s i7 6900K model, even if it did not beat that model in the tests but did outperform the slower i7 6800K. 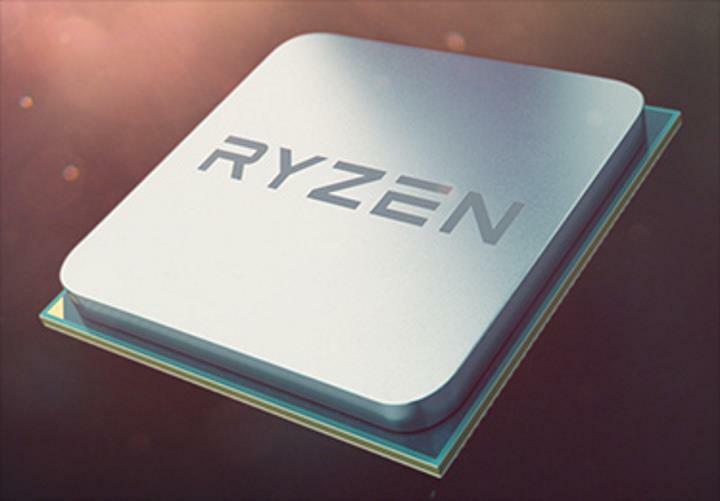 But the Ryzen processor being tested was only clocked at 3.3 GHz, though, and we must also bear in mind that AMD is likely to further refine its processor design as Ryzen models begin to hit the market this year. Given that AMD has always positioned itself as a more affordable alternative to Intel, there’s obviously no way the high-end Ryzen processor will cost as much as an i7 6900K, and rumours indicate that it will indeed retail for much less, perhaps even close to $500, which is certainly a mouth-watering prospect for PC enthusiasts looking to build a powerful gaming rig at a more affordable price. The majority of users, though, will likely be more interested in the more affordable processors that will come later as AMD replaces its FX line with the new Ryzen chips. And increased competition with Intel in the high-end will also likely lead to prices dropping across the board, meaning PC gamers could end up getting a bargain or two as current FX processors are likely to go down in price quickly. Because even if the new Ryzen CPUs are quite affordable off the bat, building a new Ryzen-based PC will be quite an investment as a new motherboard will be required and users will also likely want to get the new DDR4 memory which the Zen architecture now supports.